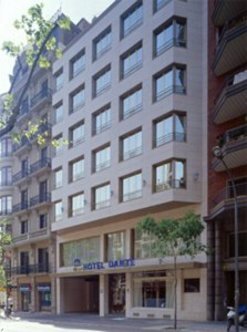 The Best Western Premier Hotel Dante has a privileged location in the heart of the city only 3 blocks from the emblematic Paseo de Gracia, walking distance to the Gaudi architecture, the modernist area and 10 minutes walk from Catalunya Square. Whether traveling on business or pleasure the Best Western Premier Hotel Dante is the best area to stay. For shopping, you are on the right place. You will find the most elegant and fashionable shops at the Paseo de Gracia and all kinds of restaurants with a radius of 100 meters.The Best Western Premier Hotel Dante offers a warm welcome and familiar atmosphere. Hotel has rooms availables for four(4)people. To get them you have to book 2 Twin connecting rooms.